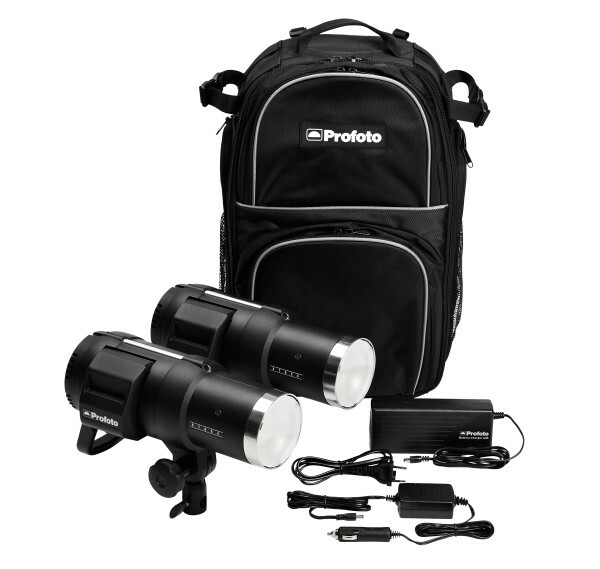 Profoto recently announced the B1 Location Kit, providing high-powered TTL flash on the go. The introduction of the Profoto B1 has caused quite a stir in the lighting industry, being the first monobloc to offer automatic TTL metering. This, combined with the cordless operation of the flash, clearly means that this flash is not destined to be confined to the studio. It is a powerful off-camera flash designed for on-location work. Profoto recently announced the B1 Location Kit, consisting of two B1 heads, two batteries, a fast charger and a car charger. All is packed in a special backpack that protects the gear during transport, making it even more appealing to use these flashes for location work. A two head kit with battery packs that fit in a backpack is not a common sight in photography. Sold at £2,550 (+VAT), the kit offers roughly £280 discount compared to buying the included items separately. It is available now from authorised dealers.